On Saturday night they decided to check out the new sushi restaurant in town. It bothered her calling it the "new" sushi restaurant. It implied that there was another sushi restaurant in town, and there wasn't. 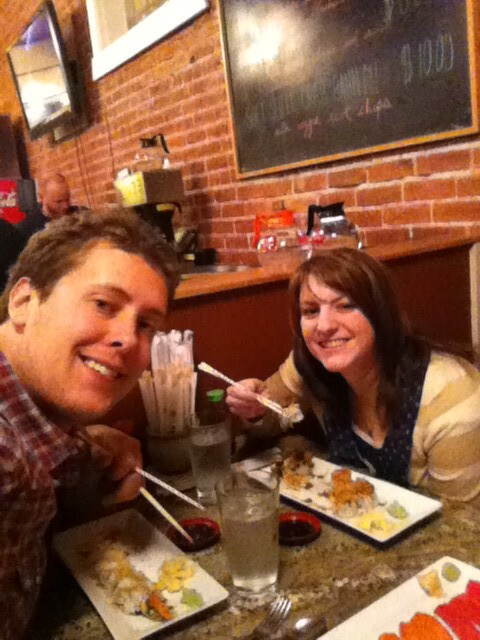 Their previous doubts about Southern Idaho sushi (how long did the fish take to get there? does their fish see a lot of turn around?) were quickly quelled as she sat eating possibly the best roll (the Sawtooth Roll) she had had since that one Spider Roll she had in California. He enjoyed having a plate of nigiri all to himself since she doesn't do "real" sushi anymore. Not now that she's won his heart. And discovered unagi. As they sat celebrating his new new job and pondered their rock and roll lifestyle she said, "maybe we can be happy here." After dinner they went to Fred Meyer to buy hooks. The kind with the sticky stuff on the back. A new new job?? Hooray! That deserves some good celebrating right there. 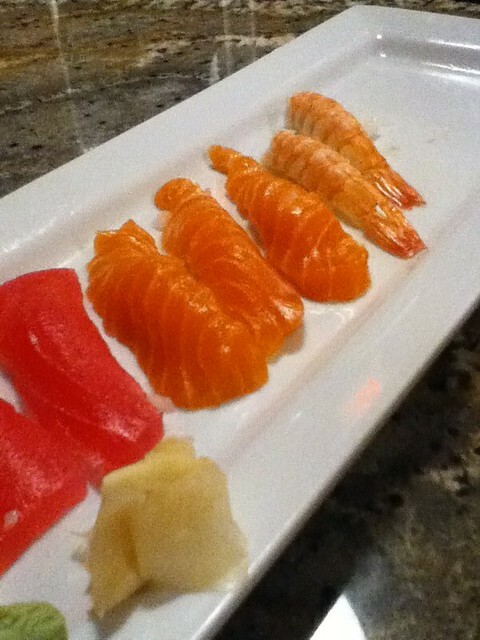 Josh introduced me to sushi back in May, and surprisingly enough, I liked it. I'm really not joking. Oh my goodness!! A new new job?? Congrats. Sushi sounds like the perfect way to celebrate. Hope you had a little miso soup. That happens to be my favorite course; before the sushi even arrives. PS. I now know where we will do lunch. I can't get my husband to enjoy anything but a California roll. I'm wondering if I missed the new new job announcement or if this was the announcment. Judging by the other comments don't think I missed something. Congratulations!! Another new job? Being happy where you are? Both wonderful things. A new job - Congratulations! That is fantastic news for you all. I am afraid to say living out in the sticks here in Suffolk, England I have never tried sushi - I must one day. Oh yum yum yum!!! I can finally eat sushi again and I'm dying to, and this looks sooo delicious! 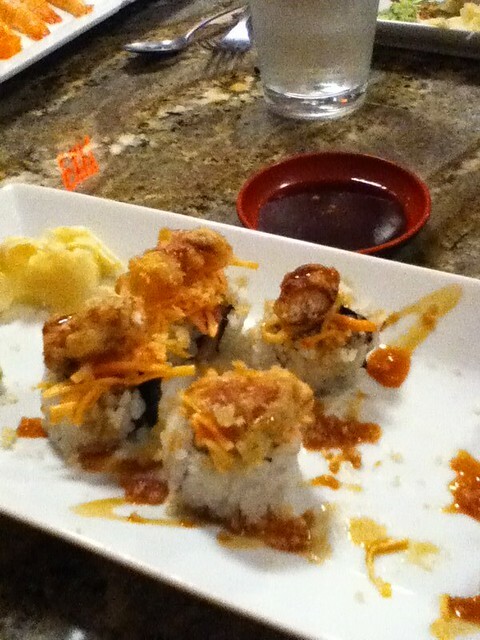 (I don't "do" real sushi much either, but I do love the rolls). Aw, I miss good old Freddies. :) Glad SE Idaho is treatin' ya good. :) Meet ya there in t-minus 6 months.